With Shaun Hill gone to the St. Louis Rams, the Lions were in need of a veteran backup quarterback. They found one. 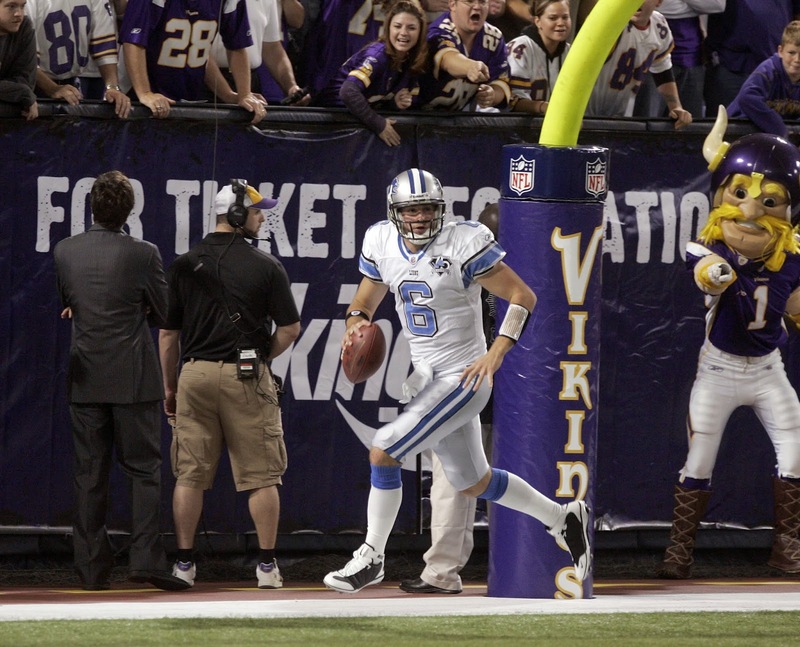 Dan Orlovsky, who was with the Lions for four seasons (2005-2008) was signed to a one-year deal, per the team web site. Orlovsky is best remembered in Detroit for running out of the back of the end zone for a safety when he was lined up in the shotgun during his first career start in October 2008. The Lions lost 12-10 to the Vikings. He also started the 16th game in that 0-16 season. In 2008 he started seven games and completed 143 of 255 attempts for 1,616 yard with eight touchdowns and eight interceptions. Orlovsky spent the last two seasons with Tampa Bay. In 2005 he was drafted by the Lions in the fifth round. After Detroit he was with the Texans in 2009 and 2010. He also started and lost seven games for the Indianapolis Colts in 2011 when Jim Caldwell was the head coach and Peyton Manning missed the season. The Colts went 2-14 and Caldwell lost his job. So he knows Orlovsky.